The official synopsis has suggested that Matt and Stefan will be seen working together. The reason for the hatred of cop for youngest Salvatore brother will be revealed on this Friday. Moreover, Caroline will get to know what she has lost when she will team up with Alaric to save Bonnie. In episode 19 titled “Somebody I Used To Know”, we saw Enzo and Bonnie reached out to Damon when the attempts of Enzo to save Bonnie weren’t sufficient and landed her in even more trouble. It will be interesting to see if Damon gets to improve his relationship with Bonnie or not. Last time, she slammed the door on his face. Bonnie is thinking that Damon took the easy way and locked himself in the coffin for three years. To get back into her good books, Damon would have too much more than an apology. Adding to all the above, Lucy is going to appear again. In Episode 18 ‘One Way or Another,’ Virginia told Bonnie that why Armory is trying to hunt her. She had also revealed that Lucy is the other Bennett witch which they knew. But, she disappeared before they could open the vault using her. As the trailers and spoilers suggest, Lucy will come again in the episode for this Friday, but not for very long time. By the end of the episode, she will be killed. Thus, Bonnie will be left as the last Bennett witch. Below is the official synopsis as taken from the Wikia. When Enzo’s efforts to protect Bonnie end up putting her life in jeopardy, they learn that Rayna may hold the key to her survival. With time running out and Rayna at the reins, Enzo and Bonnie reluctantly team up with Damon, who is desperate to save Bonnie’s life and to repair their broken friendship. 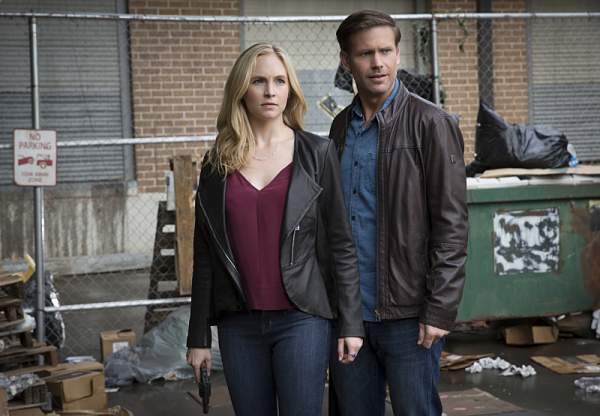 Elsewhere, when Stefan travels to Dallas and comes face to face with Alaric, tensions escalate and they are forced to confront the fallout from Stefan’s absence in Caroline’s life. The Vampire Diaries Season 7 Episode 20 will air on Friday, April 29 on the CW.